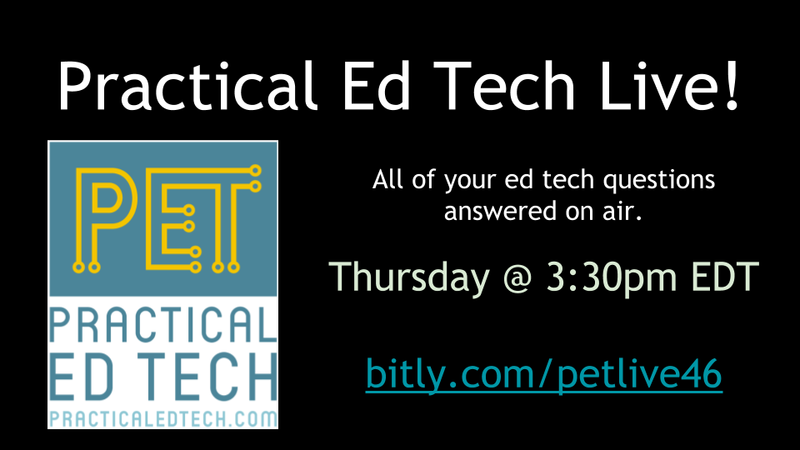 Last Thursday was the most attended edition of Practical Ed Tech Live that I've hosted this spring. I'll be hosting another episode this Thursday at 3:30pm EDT. You can join me on my YouTube channel or on the Practical Ed Tech Facebook page. I'll answer your questions live as they appear. I'll also answer questions that are sent to me in advance via email or Facebook. Subscribe to my YouTube channel and turn on alerts to be notified when the broadcast starts.